Apart from that, and potentially some bug fixes, not much seems to have changed. There are no Google Play Services or security patch updates. 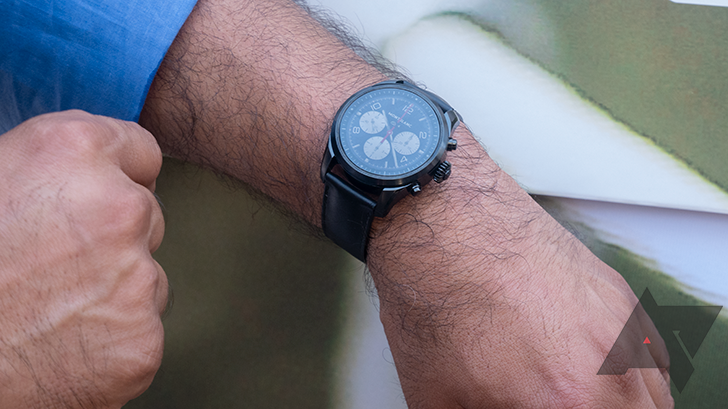 So far, we know the update has hit the Montblanc Summit 2 (pictured above), Fossil Sport, and Ticwatch Sport. If you're confused about the latest updates - particularly the Wear OS 2.2 H update - you're not alone. Google announced in November that it would gradually roll out H over the "coming months," and that it might not be available for all watches. Roughly two months later, the H update is still very much in the process of rolling out (Redditors are nobly trying to keep each other up-to-date, but it's chaotic), which makes the overlap with Wear OS version 2.3 fairly confusing. To help clarify things, the changelog for H names these major features: battery saver mode updates, improved off body efficiency, smart app resume for all apps, and two-step power off - more on all that here. Meanwhile, the 2.3 update brings with it a Home app update and potentially not much else. Did you receive the latest Wear OS 2.3 update? Let us know in the comments.